Merely putting the words “laundry” and “oil” in the same sentence is enough to conjure up the images of ugly, unyielding stains. So, why am I doing this dirty deed? Well, because I want to be the first one to tell you that your detergent is failing you! Who does not like “right out of the dryer” clothes that smell fabulous and are totally germ free? But, if you are relying completely on your detergent to do all of that, no wonder you end up disappointed. So, today, I am going to reveal my secret to fresher, brighter and cleaner laundry. Psst! It involves essential oils. But, I bet you already knew that. Now, before I tell you about the myriad ways in which you can use EOs in your laundry room, let us talk about clothes. Fret not! I am not going anywhere near your sartorial choices and sense. But, I am sure you will agree with me when I say that clean and germ free discount finds beat dirty designer duds any day. Of course, I am not suggesting that you tackle your laundry half-heartedly. But, there is only so much that the washing machine, the soap, fabric softener and the dryer can do. Let me tell you why you need more. I believe there is no exaggeration in the statement that your clothes are your second skin. And just like your skin, they get hammered from the inside and the outside. On the inside, they have to deal with sweat, the salts in it and the bacteria on your skin and on the outside, they have to put up with dirt and germs. Now, dirty clothes are more than just an eyesore. They can actually be the home of all those critters that cause skin diseases. I bet you are murmuring that your detergent takes care of all that. Even if I were to agree with you, which I don’t, what about the chemicals in your detergent? Imagine a concoction of all those harsh chemicals (they are used for washing clothes after all) plus the excretions of your body and the dirt from outside, and all of that against your skin for hours upon hours. In fact, almost all detergents contain toxic chemicals and you don’t have to take my word on it. This comes straight from the University of Washington that conducted a study to analyze everything in and around your home which causes harm to your health and that of your loved ones. Not to mention that regardless of how amazing your detergent smells, the fragrance will barely last for a few hours after the wash. In fact, some stenches stay put even after a round or two of washing. I am sure you know that many offices are sensitive about the fragrances used by their employees; imagine their reaction to the stench emanating from your clothes! That said, even if you have not joined the “Go Green or “Save the Environment” movement as yet, all the chemicals that we are putting out into the ocean with those soapy suds do come back to haunt our lives. Think passive pollution of the soil and the active pollution of ocean water. If you ever go to the beach or eat fruits and veggies that come from a shoreline state, you can be sure that some of that detergent is by now in your tummy. What Can EO’s Do For You In The Laundry Room? For starters, they are fantabulous germ killers. The fragrance lingers without being in your face. You’ll love being surrounded by an invigorating aroma that keeps you geared up all through the day. They are good for your hands, your health and the environment. There is simply no limit to the diverse ways in which these natural offerings can be used. You will find them cheaper than all those washing supplies. They can be used on their own or with your regular laundry products. 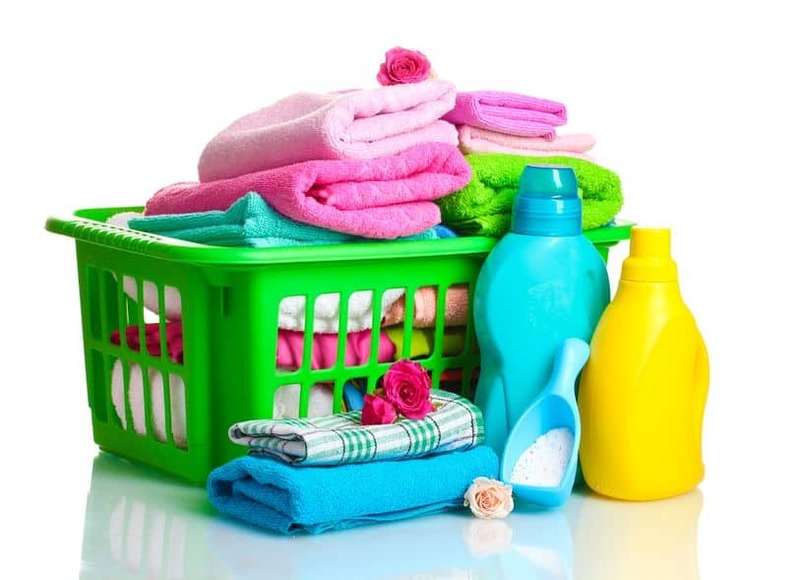 Can be used when washing, rinsing or drying and even when storing your freshly washed clothes. You don’t have to stick to one fragrance. In fact, you can use aromas that will keep you going for day time clothes and fragrances that will help you to wind down for night time clothes. The Best 6 Essential Oils For All Things Laundry! Tea tree or maleleuca: This is possibly one of the most potent germ killers available in nature. Critters of all kinds go in their pants at the mere mention of this oil. Well, they sure would do that if they were to wear pants, but you get the point. Plus, it makes your clothes smell extra fresh and is effective even on stinky socks and sweat stains. Lemon: A natural whitener that is tough on stains but gentle on fabrics, the citrusy smell is an added bonus. If you start your day groggy, the lemony aroma will get you going and keep you going through the day. Another advantage is its ability to disinfect clothes and just about everything it touches. 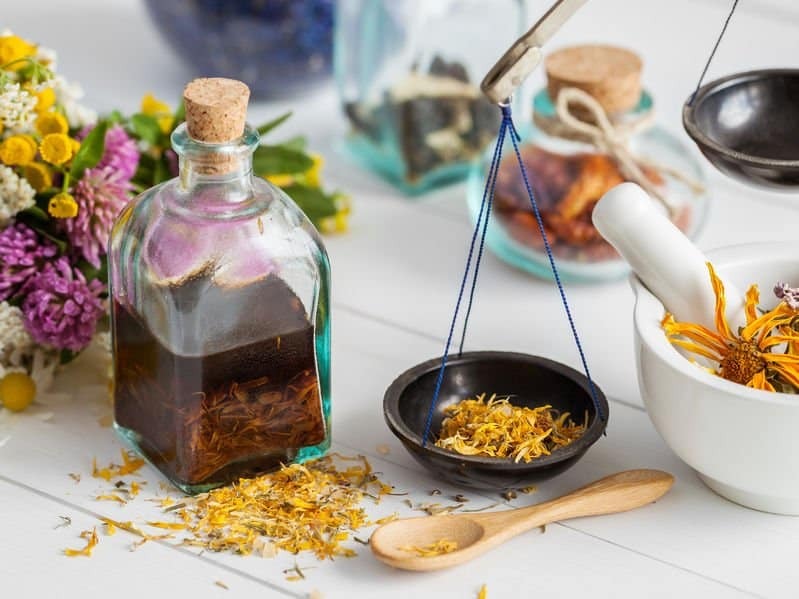 Wild orange: Another oil with an invigorating aroma, this is a fragrance that will add a bounce to your steps and will blend well with any perfume or deodorant that you are using. Plus, it is a fantastic stench masker and germ killer and can be used against grease stains, what more could you possibly want besides a fairy godmother who will do your laundry for you? Lavender: Now, here is a fragrance that is used extensively in toiletries and one that almost everybody seems to like. This is again an aroma that goes well with almost all fragrance products and chases away mental blues. So, if the thoughts of a tough day ahead has you in panic, clothes with the aroma of lavender will help to calm those nerves. Eucalyptus: Just as potent as tea tree oil when it comes to its germ killing ability, the fresh aroma works well on clothes that are often sweat covered like socks and under garments. Moreover, it also targets allergy causing dust mites, which means it is perfect for use on stuffed animals, comforters and bed sheets. 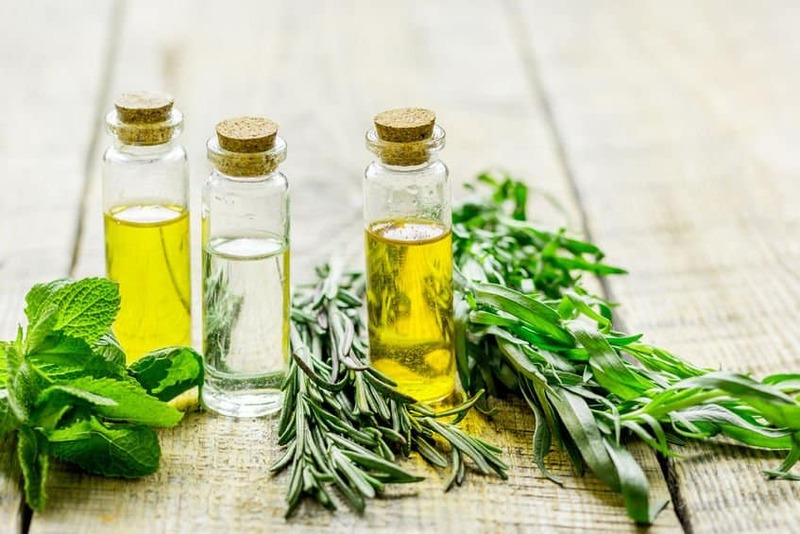 Rosemary: This oil will kill the germs hiding in the fibers of your clothes plus battle away the critters that try to barge in as you go about your day. As a plus, it will also help to keep you focused. This recipe is particularly meant for ridding your clothes of stench. So, if you are dealing with sweat stains, gym clothes, under garments that have seen a few days of action (really we are all guilty of wearing dirty underwear at some point), stinky socks, this pre-soak is just the thing you need. Mix the ingredients and set aside. Soak the clothes in warm water and add the pre-soak mixture to it. Let the blend work on the stink for about 20 minutes and then wash as usual. To use, mix the ingredients together and set aside in a cup. Place the clothes in the washer and cover with hot water (highest temperature that the fabric will tolerate). Add the pre-treatment mix to the water and let the clothes soak for 30 minutes if very dirty and 20 minutes if they are moderately soiled. Then, wash as usual. Mix and store in a squirt bottle and use as you would any liquid detergent. To use, mix the oils with the vinegar or lemon juice and use as a pre-wash soak. About 20 minutes should be enough to kill all those dust mites. Mix and store in a glass bottle or container and use a cup of the blend before the rinse cycle for each load. Pick one or more of these combinations. Mix and store in dark glass bottle. To use, roll the bottle in palm of your hands and add 8-10 drops to wool dryer balls or a damp wash cloth and place in the dryer to scent your clothes as they dry. Add the water and the oil to a spritz bottle. Shake well and mist your clothes with the mixture before ironing. When you are using essential oils for laundry, there are literally dozens of hacks. For instance, add 4 drops of lemon or tea tree oil to a ball of cotton wool and put it in the drawer for the freshest smelling socks or under garments. If you want the clothes hanging in the closet to smell amazing, use the pre-ironing mist. Simply spray it lightly on the clothes hanging in the armoire or you could spray it on your bed sheets and linen for an extra dose of freshness. Use a blend of jasmine and lavender EO for a night time bed sheet mist that will help you to doze off faster. Like I said, the sky is the limit when it comes to EOs for laundry! Only use transparent oils with white and light clothes. Do not put the oils directly on any surface that will heat up. Keep your EO’s just the way you would other laundry products – away from kids and pets in a cool, dry place. Mix with other cleaning products (soap, vinegar, baking soda) for maximum effect. Use the low heat setting on the dryer when using EO’s or add a few extra drops of the oil. Don’t use the oil directly on the clothes. 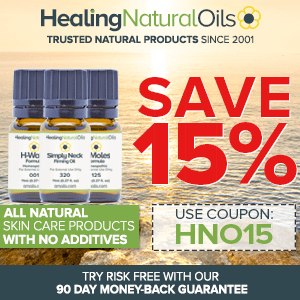 Want to know more about how to protect your family from toxic products and live a healthier, more natural life and save money every month…simply click here. Hi Olivia , will the essential oils dissolve in the vinegar or will there still be some droplets left ? I have so much trouble dissolving essential oils for air fresheners or other liquid recipes that do not take carrier . What kind of vinegar are you using in these laundry recipes? And, do you have a recipe for fabric softener to reduce wrinkling? You can use white distilled vinegar or ACV, however ACV is more for cooking. Add all ingredients together and store in a glass container. Use 3-4 tsp with each load. You can increase/decrease the essential oil drops depending if you want a stronger/weaker scent. 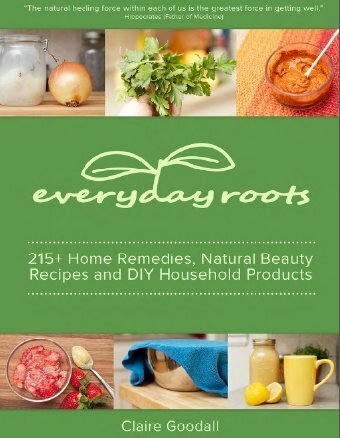 You can also use a simple DIY spray to reduce wrinkles after clothes have dried up. Use 1/2 cup distilled water, 1/2 cup distilled white vinegar and up to 10 drops essential oils in a spray bottle. Mix well and spray on clothes when needed.